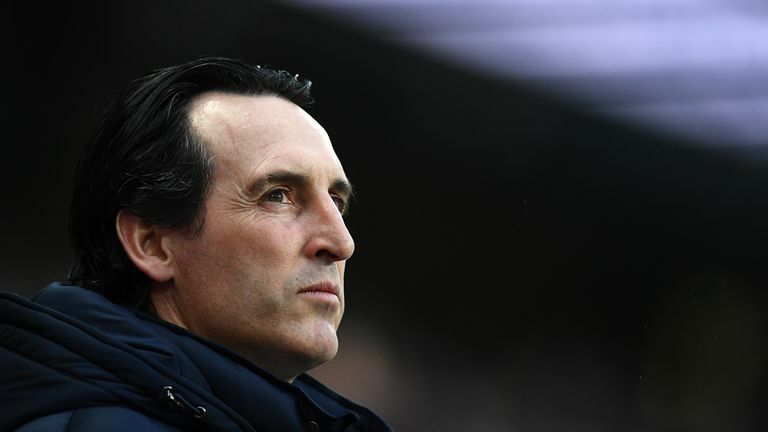 Arsenal manager Unai Emery: "We don't want people like that. Unfortunately issues have happened at our stadium. We don't like people doing that." The video was taken during Thursday's Europa League quarter-final first-leg clash with the Italian side at the Emirates Stadium, which the Gunners won 2-0. He told Sky Sports News: "We don't want people like that. Unfortunately issues have happened at our stadium. We don't like people doing that. In a statement, the club told Sky Sports News: "We utterly condemn the use of any racist language and have launched an investigation to identify the culprit.